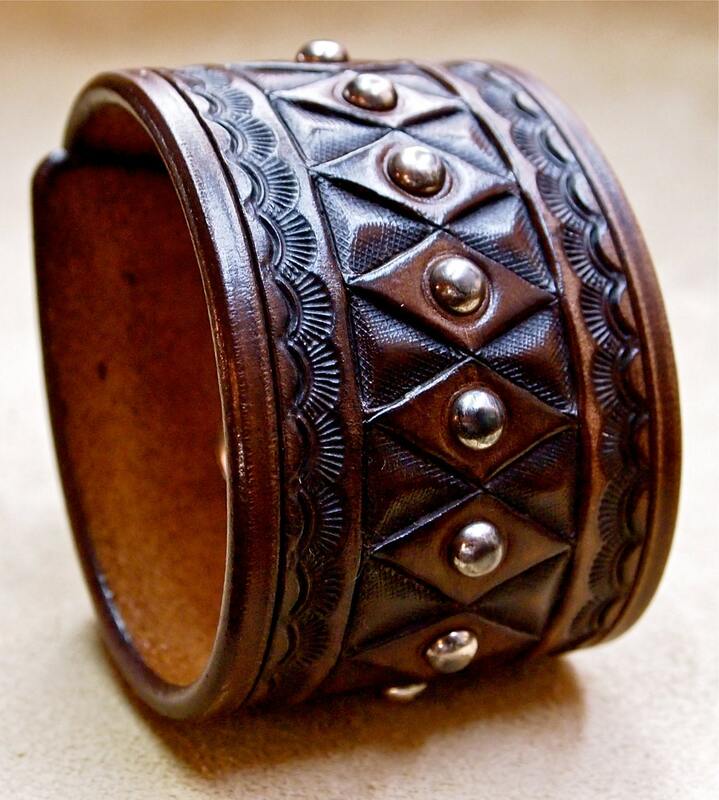 Leather cuff bracelet : Brown American Cowboy King. 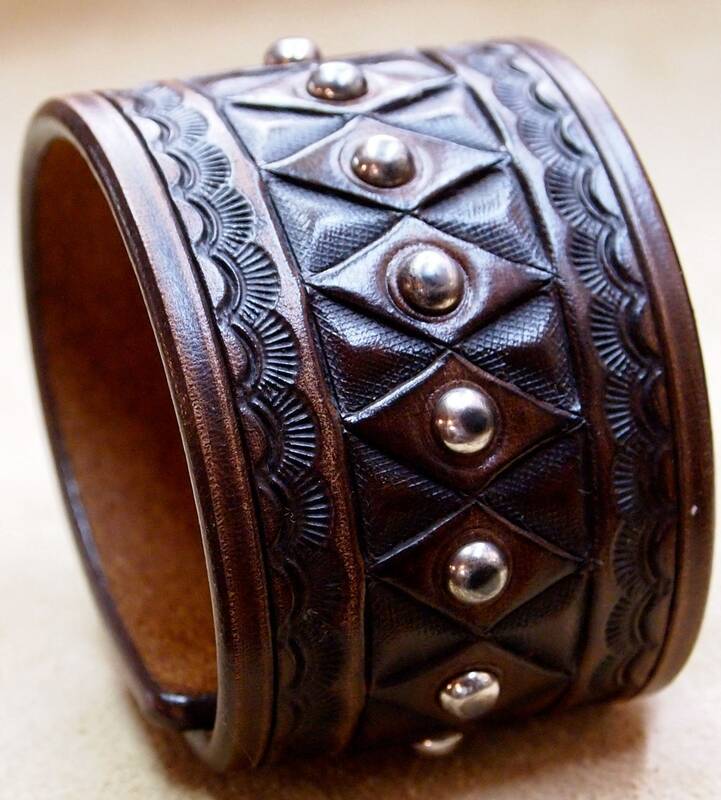 Vintage style Hand tooled with studs. 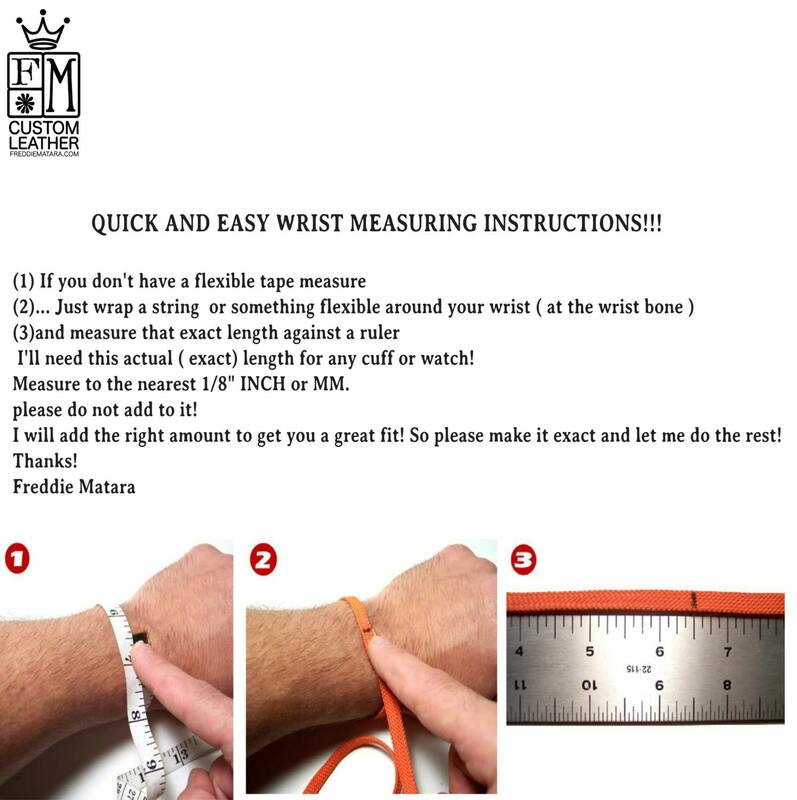 Handcrafted in USA! 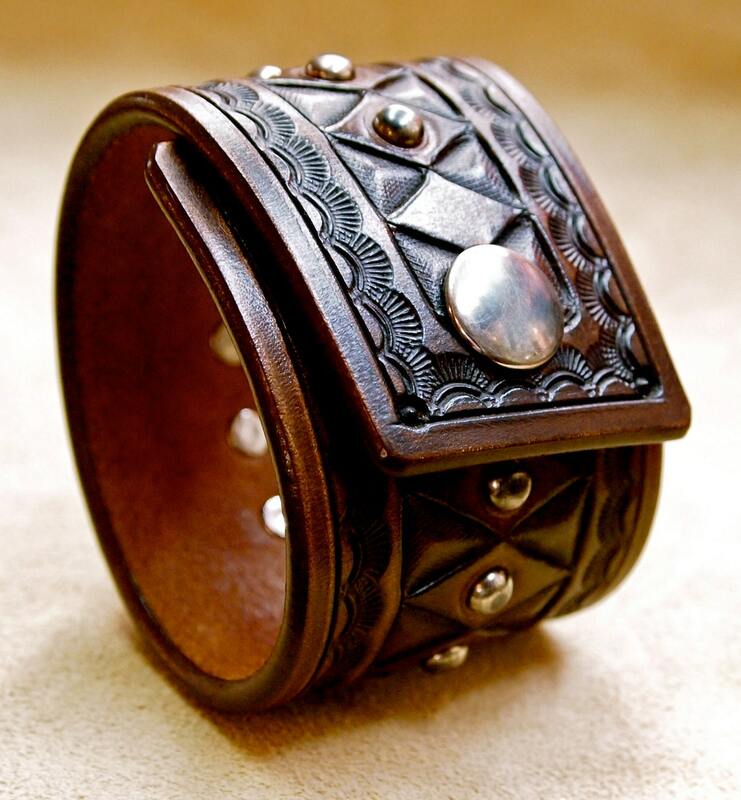 This leather cuff uses fine natural veg-tan leather that is lined in smooth calfskin. 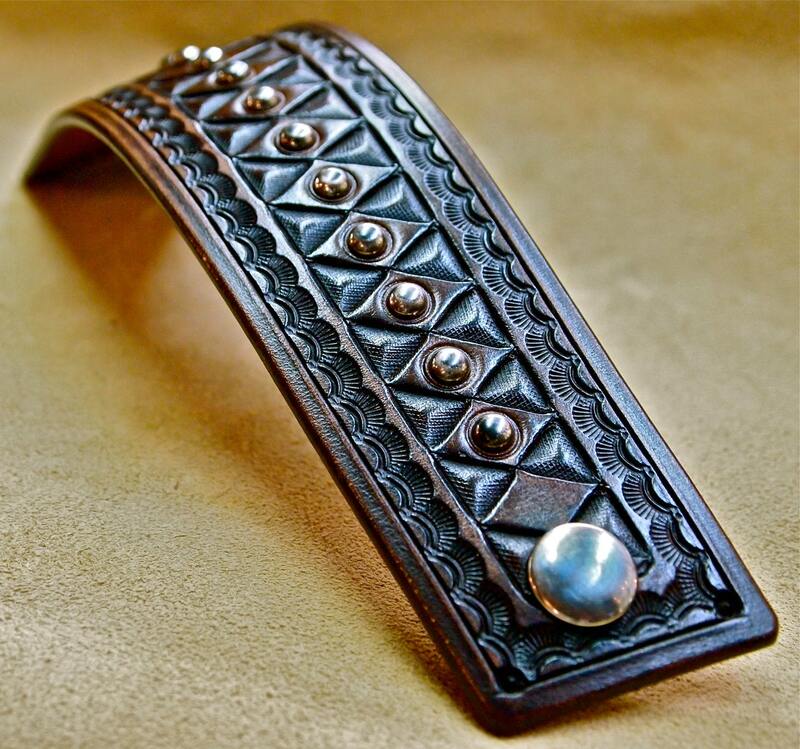 It is Hand tooled in a unique textured diamond pattern and stamped border. The top is studded with distressed nickel spots.